WELCOME to the Forty-ninth issue of the Bay City Post! - Keeping you updated on the best city on the grid. It's October, and here's the post! 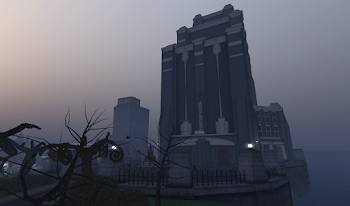 Bay City is one of the few places to have spooky sights year round. Check out the Asylum in South Channel, or the Falmouth Hotel in Falmouth, for wall-to-wall spooks on Hallowe'en or any day! 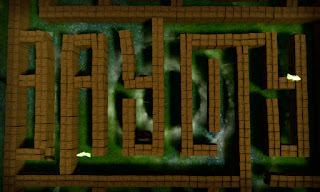 Also, check out the hay maze for some more general rated spooks: the hay maze may not have a lot of blood and gore like some other places, but it's still got plenty of spooks and things that go bump in the night for those who enjoy their scares without it being a Grand Guignol presentation. Anyway, enough chatter... it's the POST! UFOs spotted over the westside! Attempts to communicate unsuccessful. "Klaatu Barada... necktie" received no response. BAY CITY BECOMES "HAY CITY"
Annual autumnal hay maze offers fun, spooks. Bay City is hosting its fifth annual Hallowe'en Hay Maze in the Bay City Fairgrounds in the North Channel Region. The space will welcome people from all over the grid to explore a traditional autumn hay maze filled with critters and spooky effects. The Hay Maze was built by Marianne McCann, with landscaping by Pygar Bu and assistance from Kriss Lehmann of Botanical and the Linden Department of Public works, Enjoy a fun, spooky trek through the maze, and avoid the ghosts, rats, and giant spiders along the way! 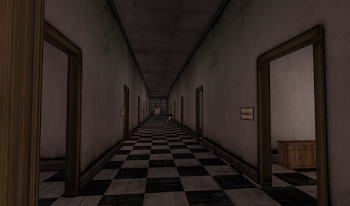 After completing the maze, Bay City also welcome you to check out a couple of our permanent locations with a scary flair: the Channel Island Asylum and the Falmouth Hotel. You'll find signs pointing the way after you exit the maze. HOT BAY CITY NIGHTS A SUCCESS! The event was initially delayed due to health issues and other concerns, but this did not stop the show from going on. Stepping up to build the venue this time out was ADudeNamed Anthony, who did a stellar job with the area. 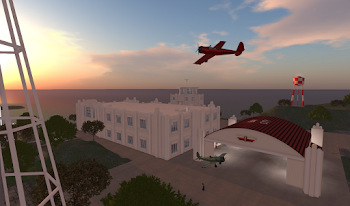 He also was one of the car vendors, and provided a brand-new mesh 1961 2Zoetic Panther to our new Miss Bay City. A big thank you to all who played a part in the event, including Priscilla Cox and Rachel Seelowe for organizing car washes, Pygar Bu for Emceeing the Miss Bay City event, and ADudeNamed Anthony, Kinnaird (Resident), Marianne McCann, and Evola Courtois for judging contestants. I've been around Bay City since the first auctions. As a result, I've seen the city through a lot of ups and downs. The days when people were making horrific, bloody, physical grief-ish displays on their parcels in order to force sales of land, for example. We've faced painful losses and other maladies that have at times shook our city to the core. We have also experienced great highs here. 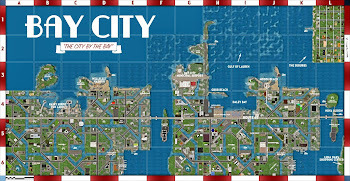 Some of my happiest SL moments were a direct result of Bay City. Indeed, the city has its ebbs and flows, and I am pleased to say that we're in the midst of the former. While we are not without some issues -- the amount of open land on the westside, or whatever has been going on in Bay City - Sconset, for example -- the city is thriving. Our city, in the last few months, has gained some great new residents, who are making this city even greater. Take for example, Bay City - Truro, even stretching now into Bay City - Barnstable. 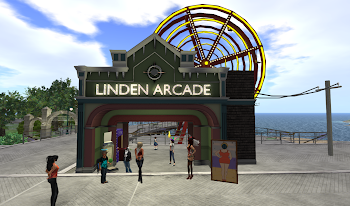 What was once empty and unattractive is now home to some great, places to RP and enjoy led by Bay City Residents new and old. 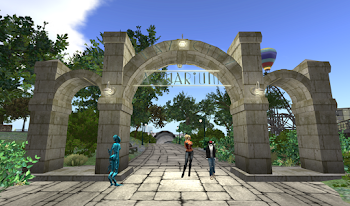 Or consider Bay City - Falconmoon and the new hedge maze located there by Belle Mistwallow. 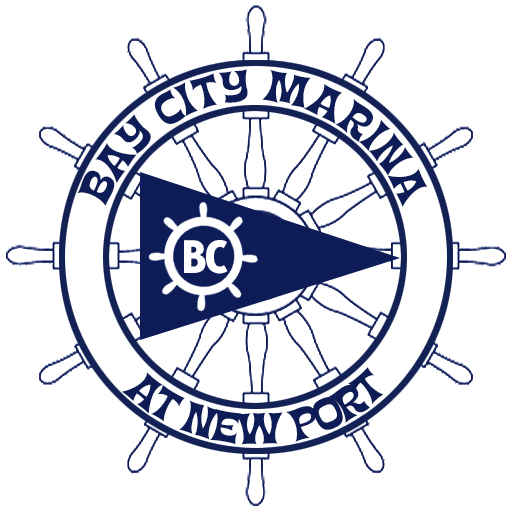 As they create great things, they potentially inspire neighbors to do the same, and encourage other great folks to join Bay City. It's great to see the city thrive and reach new heights, and wonderful to see new friends enter the fold! Local dopper radar spots flurries of Tacos outside Toxic Taco in Bay City - Sandwich. Somehow the scene lacks explosives.